The heat of July 2006 will stick in our memories for a long time in East Anglia. 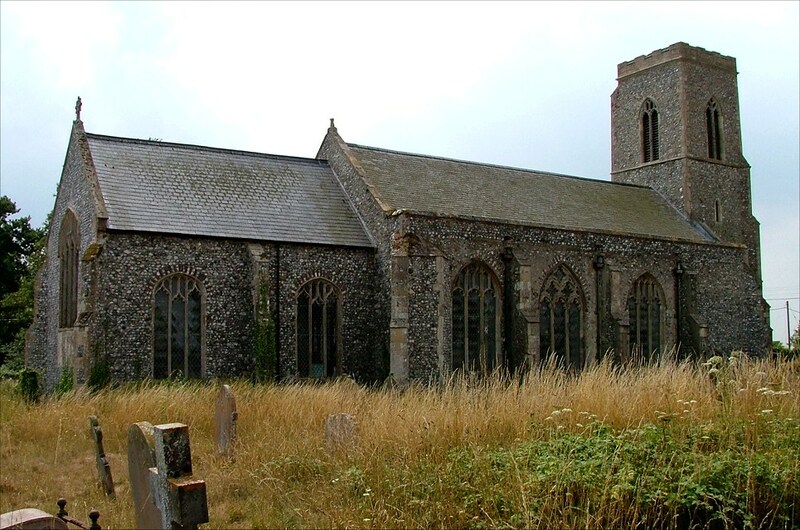 The spring had been wet enough for the world to turn green, and although the temperature rose into the nineties, the Norfolk landscape still hadn't really dried out completely. Now, in the dying days of the month, there was a high haze that was turning into clouds, and a sense that more than just the month was ending. Even so, they were cutting back firebreaks around the houses in the woodlands of Swanton Abbot, knowing that there are far more serious consequences of a hot British summer than mere drought. 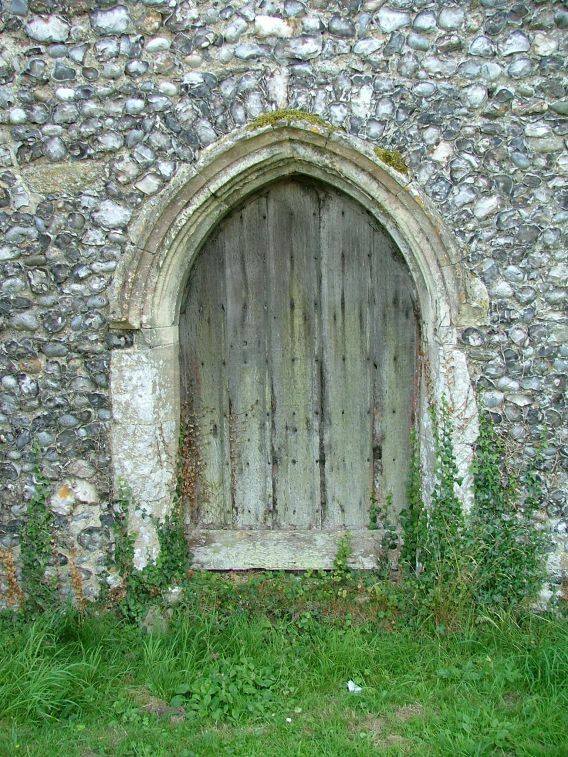 Swanton Abbot is a curious place. 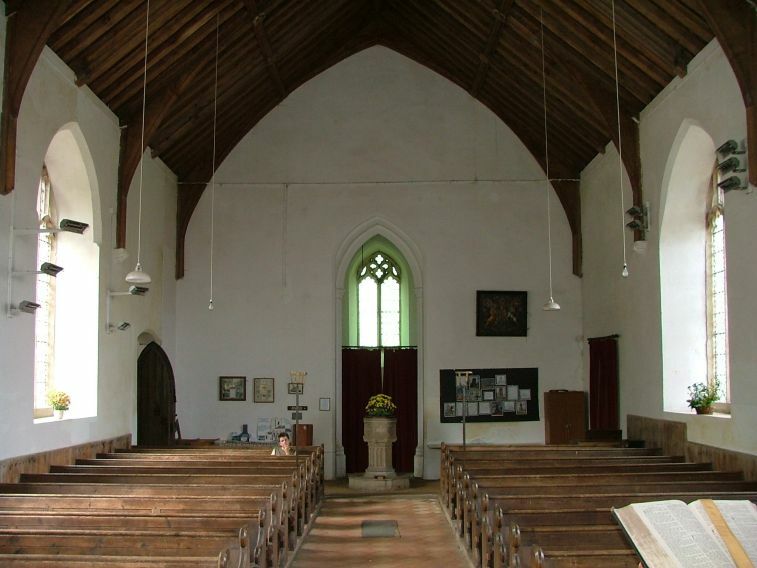 The church is more or less at the centre of the parish, but there is hardly a house in sight, only the village school for company. The streets where the people live are half a mile away, in two groups, to the north and the south. We came down from the north, where the woodlands are, gunning our bikes crazily down the steep narrow path to the church. 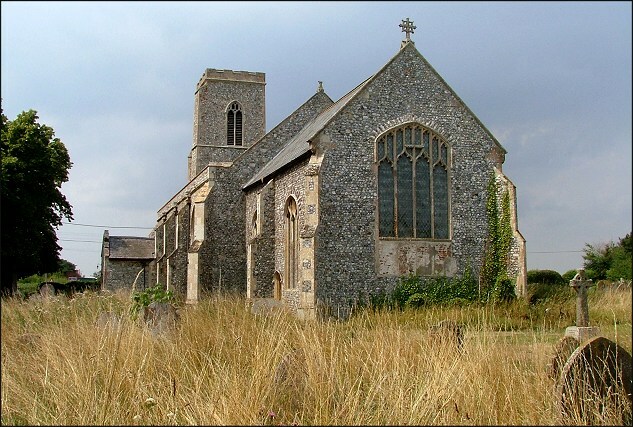 In some ways, St Michael is a typical East Anglian church, a 14th century tower with a 15th century rebuilding of the nave and chancel, the most common arrangement. 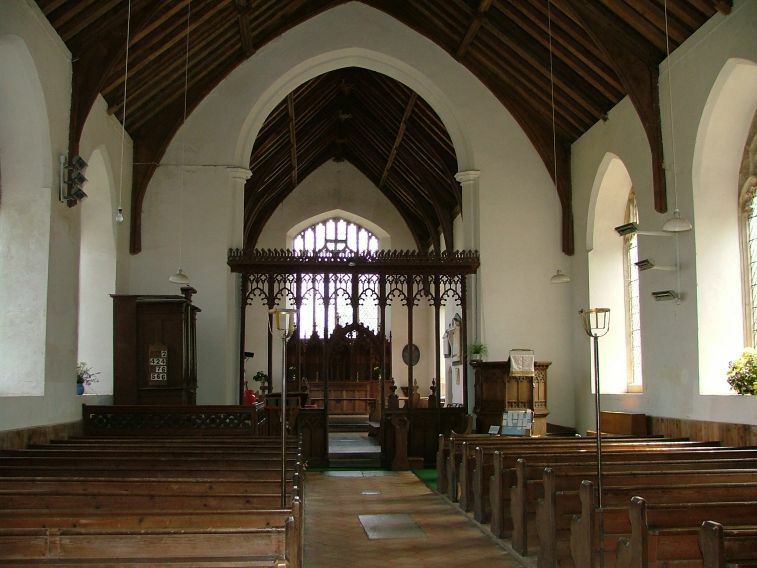 There are no aisles, no clerestory, just a wide nave spanned by a single roof. If it was in Suffolk, it would be even more typical. 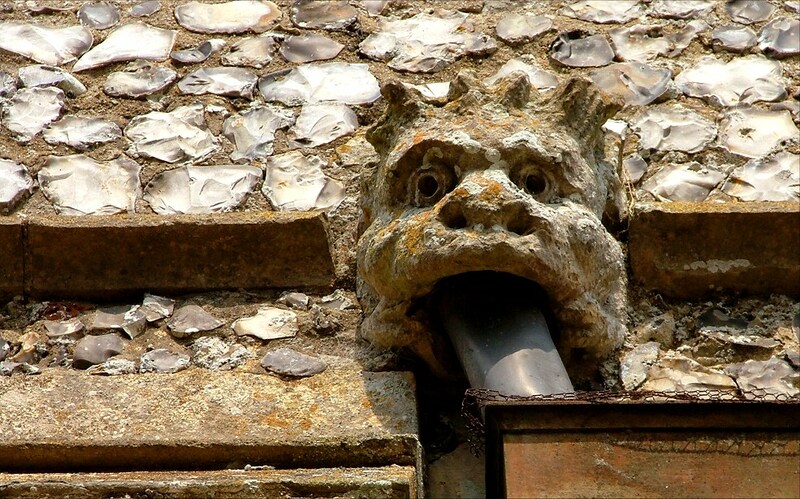 There are some serious gargoyles draining the roof, which Mortlock tells us was replaced in the 1970s, the old one being unable to cope with the span. On this humid day we stepped in to a cool, slightly damp interior, with a feel of the late 19th and early 20th century about it. There's nothing too tidy and precise about it, though, and there is a slight bat problem. All in all, it feels a rural, rustic place. 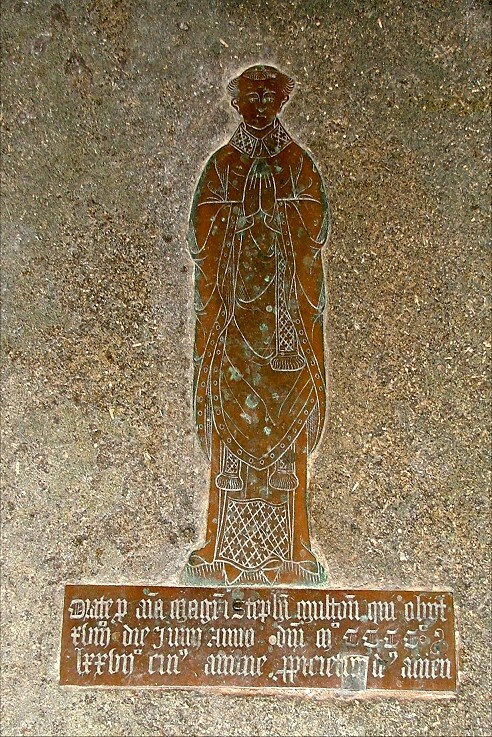 Up in the chancel is an excellent clerical brass to Stephen Multon, who died in 1477. 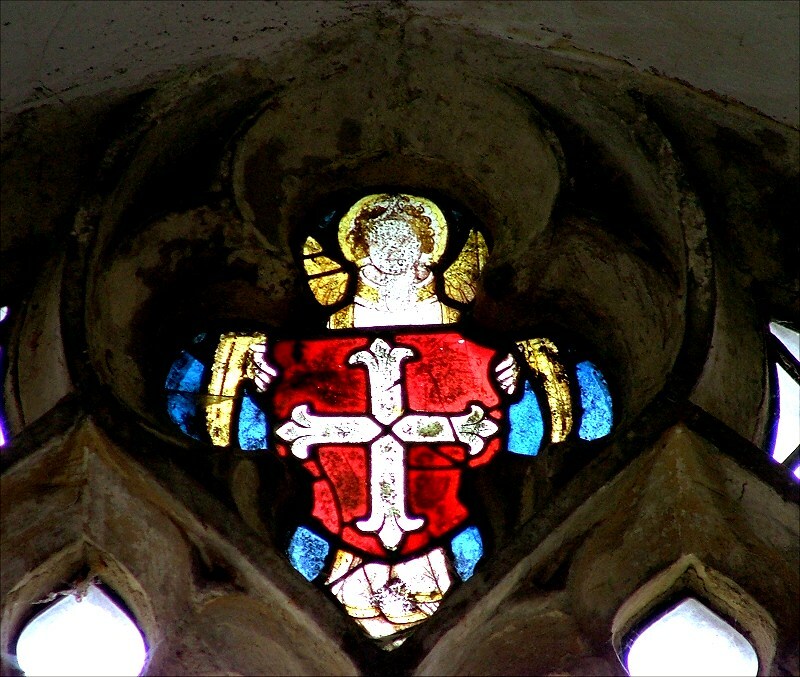 He is wearing eucharistic vestments with a high collar, the stole hanging down beneath. 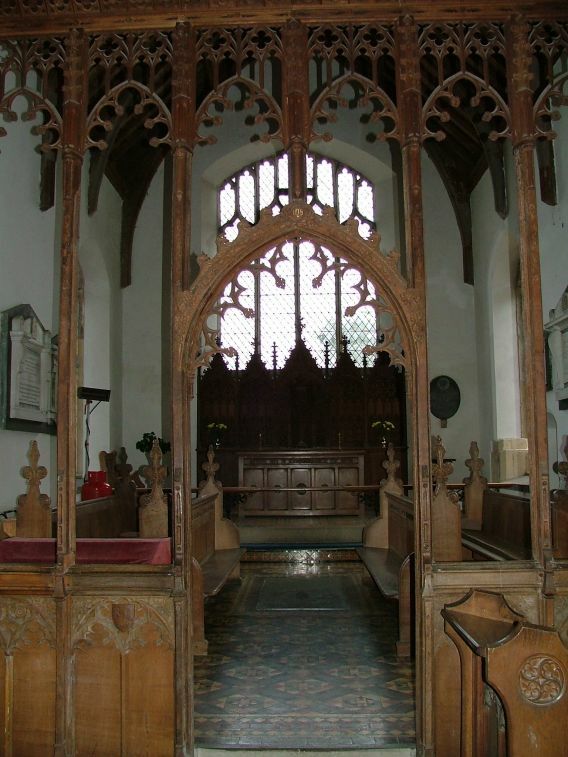 Multon is an interesting person, because he has left his mark elsewhere in the church in the form of the roodscreen, of which he was the donor. 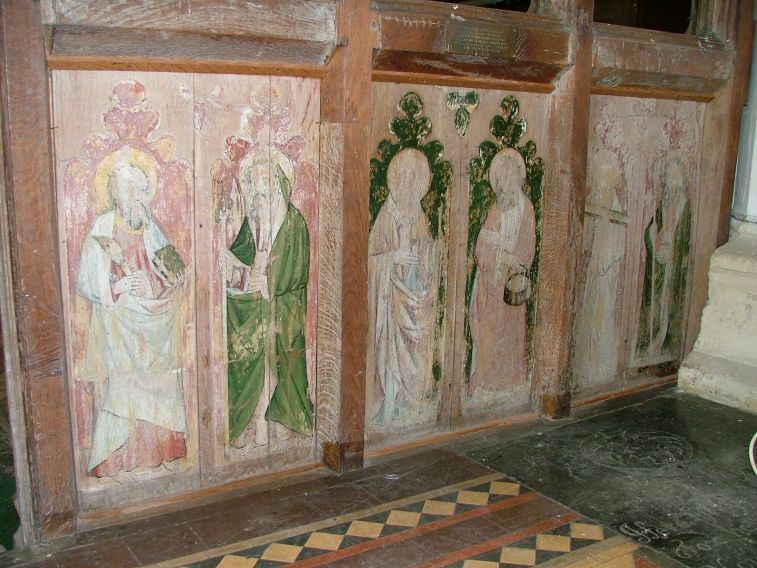 Pevsner feels that the SM letterings in the carving mean Stephen Multon, not St Mary or St Michael. Perhaps they mean all three. 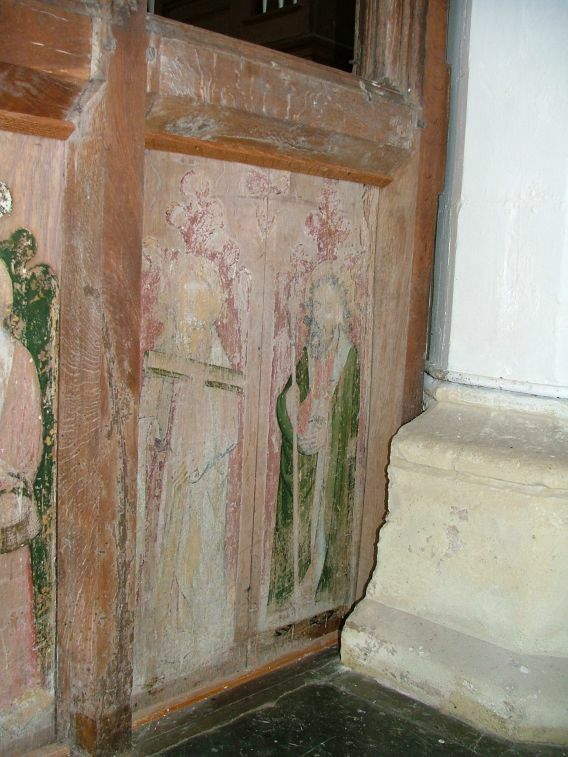 However, another Rector has also left his mark on this screen, and not in a good way. 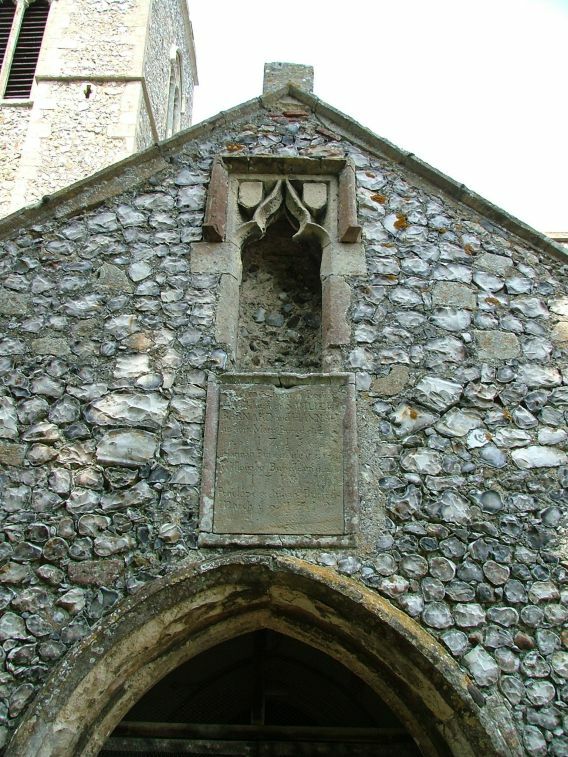 It was rebuilt in the early years of the 20th century by the eccentric octogenarian Rector of the day. It was, as Pevsner puts it, not well done. 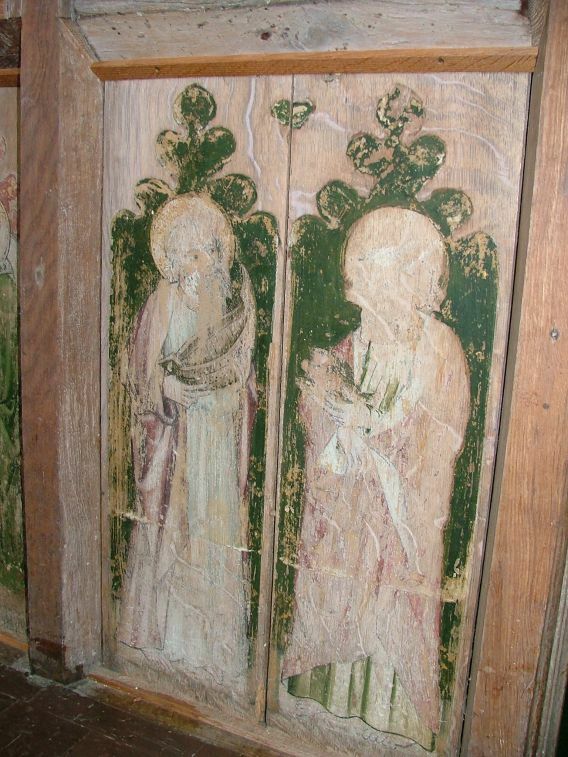 For reasons that have not been handed down to us, but possibly because he disapproved of them, the Rector replaced the dado panels so that the figures face east rather than west. It is, because of this, easily missed, and we cannot know now what the original order was. Has each panel been reversed, or were they reversed in their pairs? Was each side, north and south, reversed as a whole? Or was the whole screen reset but the other way around? 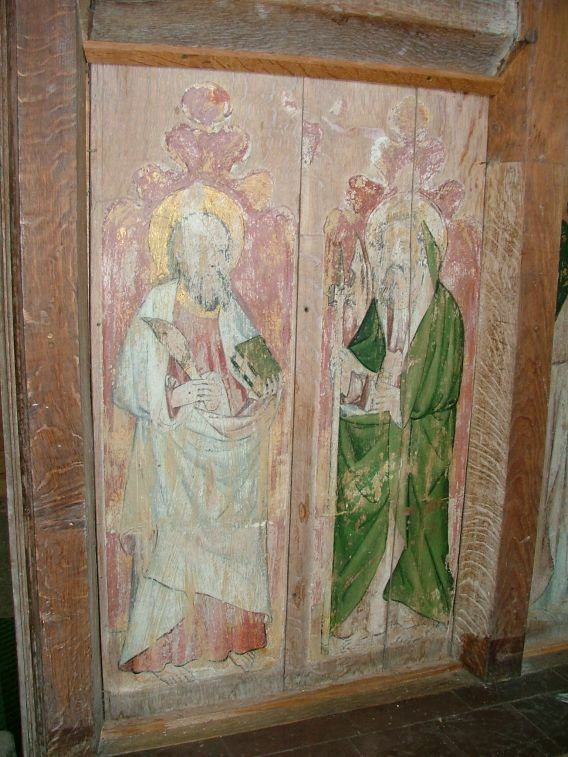 The figures show, from left to right, on the south side: St Andrew with his saltire cross and St Peter with keys and a church; St John with his poisoned chalice and St James with his pilgrim staff and bag; St Jude with his boat and St Simon with his fish. 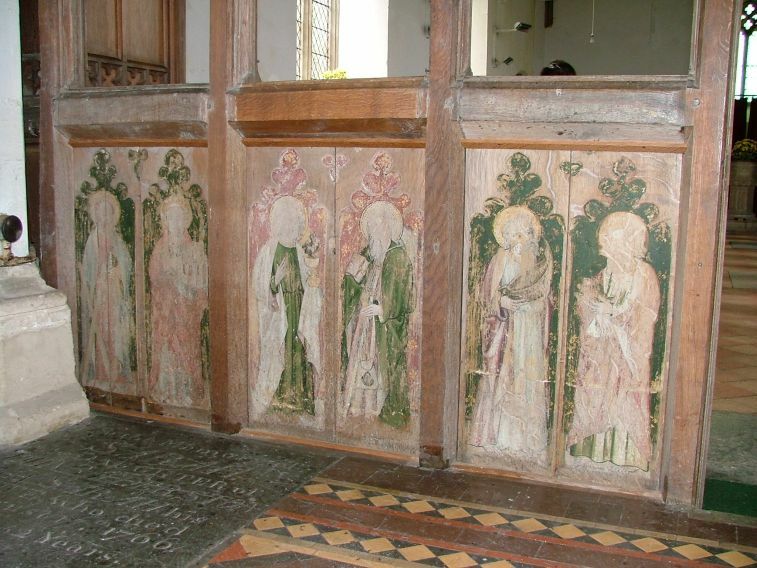 On the north side, left to right, are St Batholomew with his flencing knife and St Matthew with his halberd; St James the Less with his fuller's club and St Philip with his basket of loaves; curiously, St Antony with his T cross, and St Thomas with his spear. 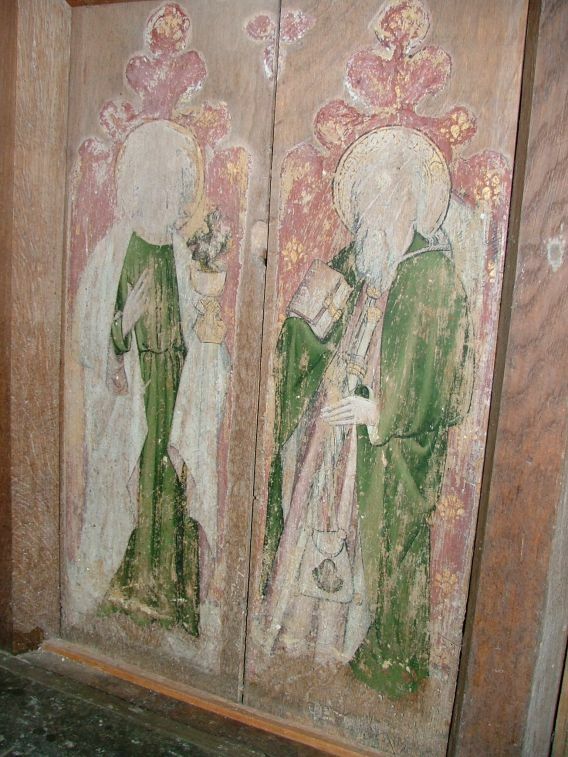 The pairings look absolutely right, more or less; if they were all reversed in pairs it would make St Anthony the first Saint on the north side, which may mean that Stephen Multon had a special devotion to him. 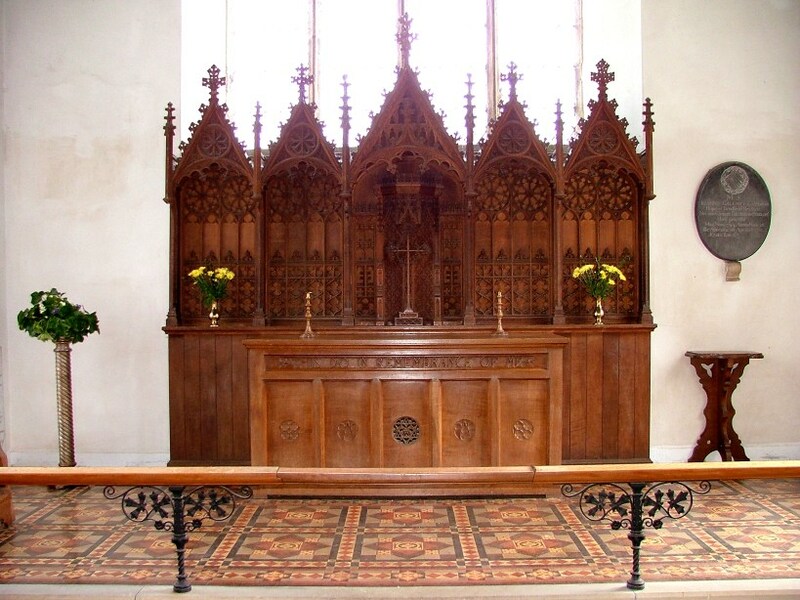 The reredos is an alarming piece of pseudo-gothick which may have come from the hands and tools of the same eccentric Rector as the screen restoration. 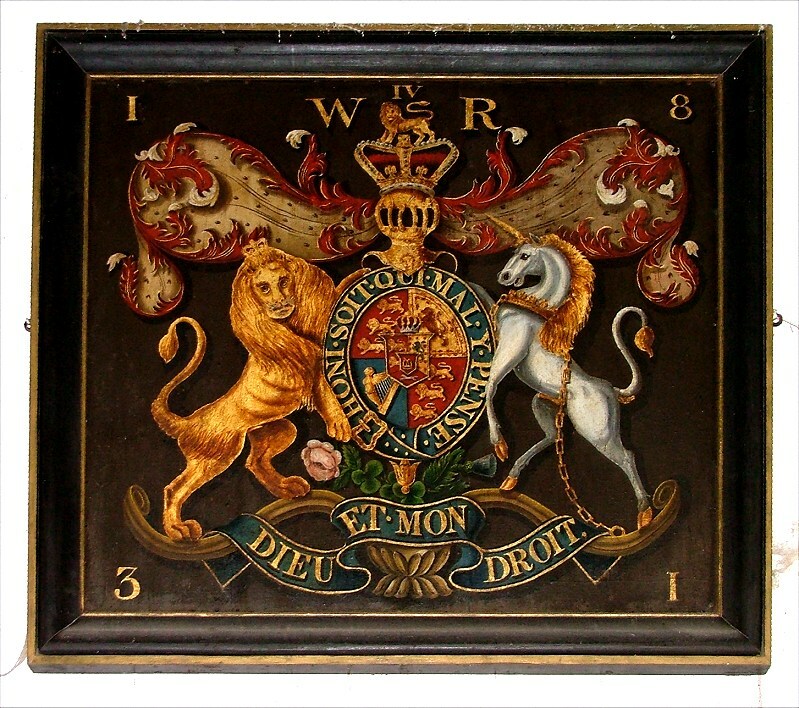 However, Swanton Abbot has an unusual set of royal arms to William IV, who wasn't King for long enough for many churches to get around to replacing the ubiquitous arms of George III. Perhaps the most moving memorial here is set in the old bricks at the west end of the nave. 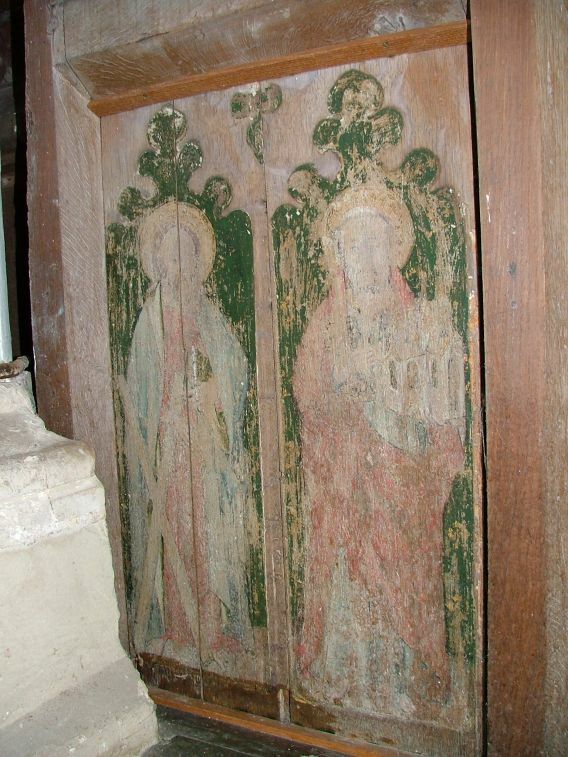 It is a crudely cut brass plaque, the corners removed to make it cross-like. 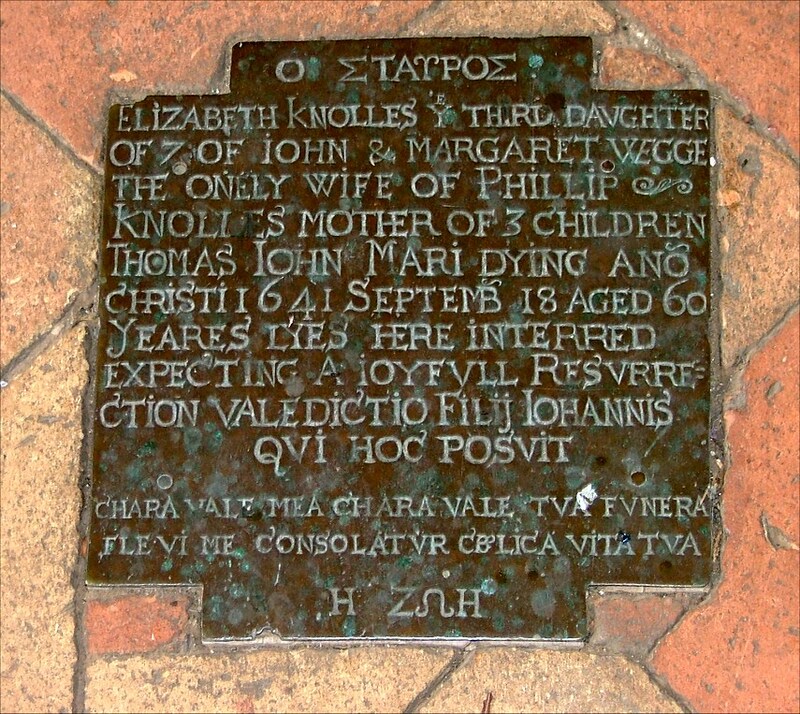 It reads: O STAUROS (the cross), and then Elizabeth Knolles the third daughter of 7 of John and Margaret Wegge, the onely wife of Phillip Knolles, mother of 3 children, Thomas, John, Mari. 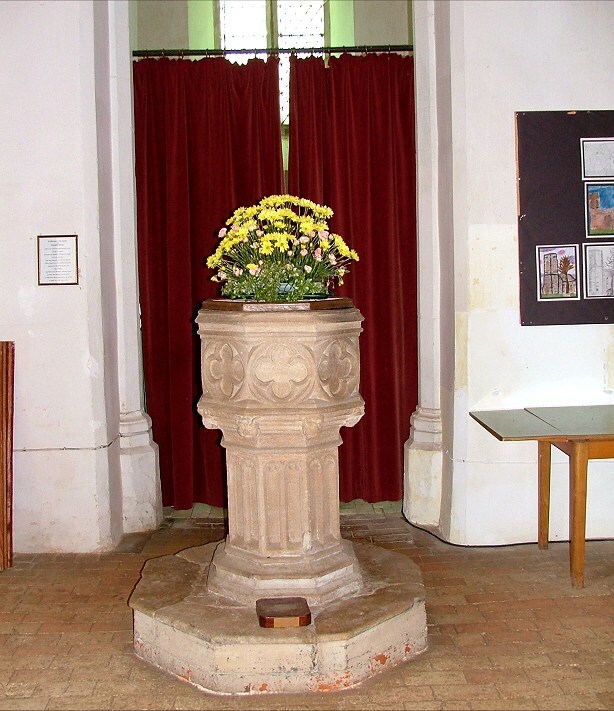 Dying Ano Christi 1641 Septemb 18 aged 60 yeares, lyes here interred expecting a joyfull Resurrection. Valedictio Fili Johannis Qui Hoc Posuit. 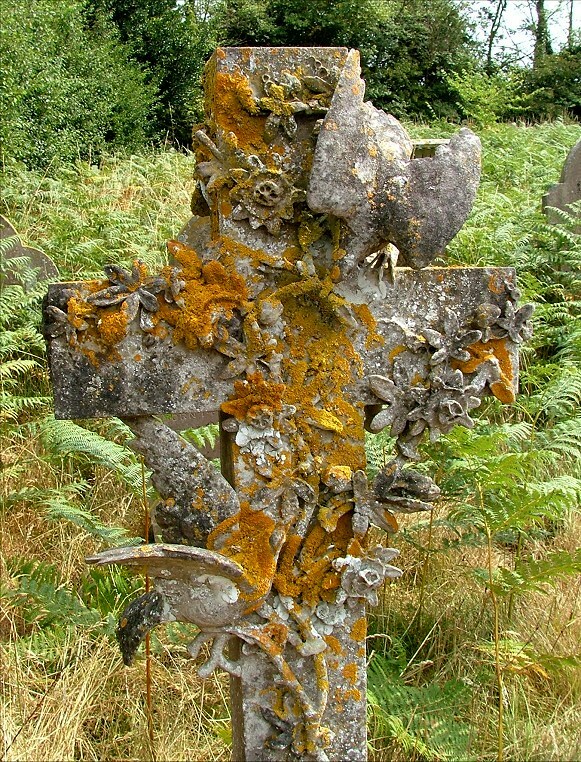 '(A farewell from her son John, who placed this). it concludes: Chara vale mea, chara vale, tua funera flevi me consulatur celica vita tua. Farewell my dear one, farewell dear... 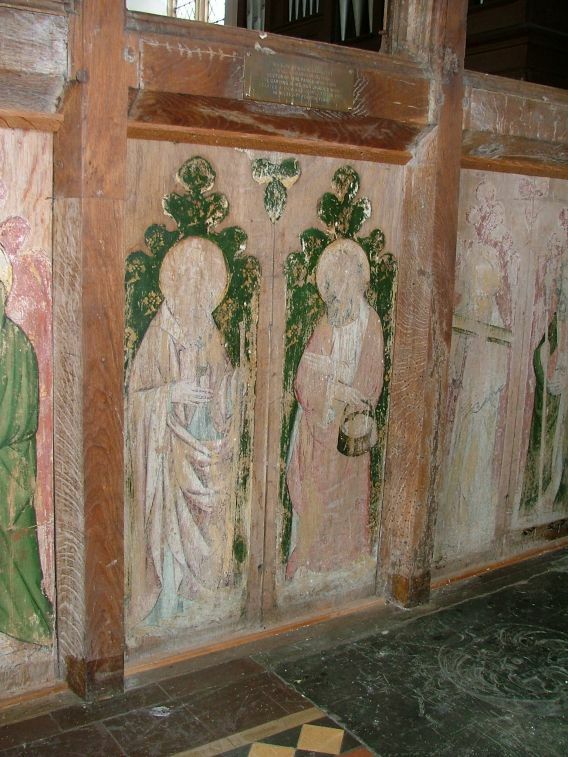 The green staining is caused by drips of bat urine.